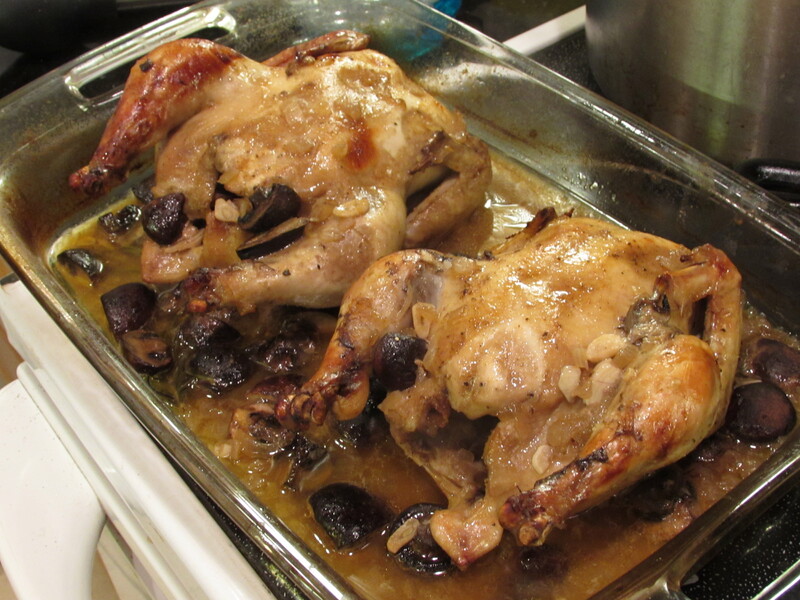 Cornish game hens have long been one of my favorite fowl. They are small, tender and always seem to present nicely. This recipe is inspired from a friend (“B”) I attended college with in Oakland. Over the years I’ve replaced a lot of the original ingredients, but the song pretty much remains the same (please forgive the Zeppelin reference) so I will also offer you the alternative way B did things, which may be more accessible to those who don’t live in areas with as many fresh herbs and produce. Trust me, the way B did things is just as solid as the fresh stuff. Preheat oven to 400 degrees. Rinse game hens and sprinkle with seasoning salt and pepper. 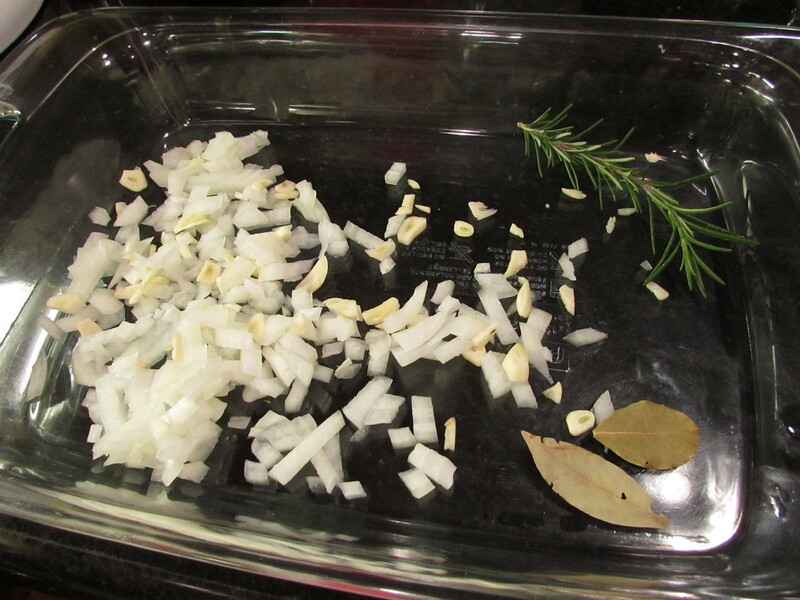 In a large roasting pan, put bay leaves and rosemary, top with mushrooms, onion, garlic, wine and lemon juice. Place hens in pan, breast side down. Cover with aluminum foil and cook for 35-40 minutes). Remove foil, flip hens breast side up, baste with pan juices and return to oven, basting every 7-10 minutes for another 35/40 minutes. 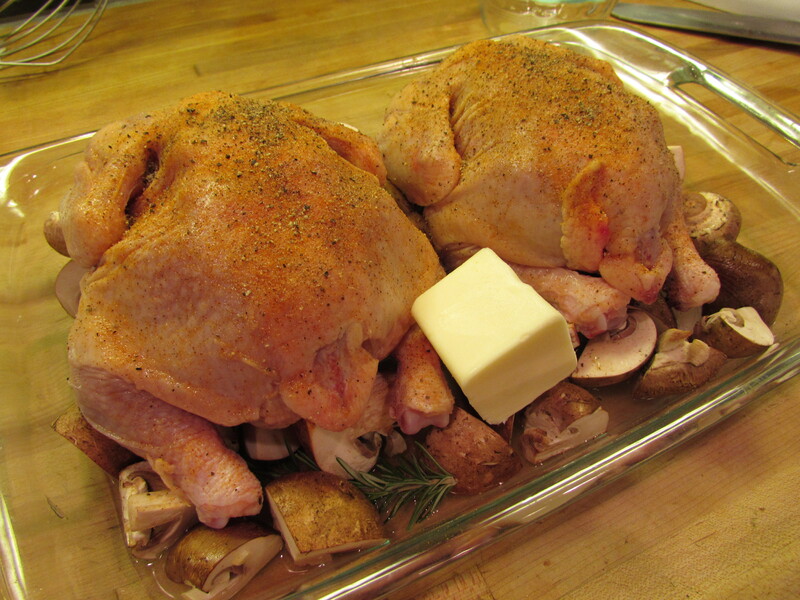 Cut hens in half and serve with mushrooms and juice. 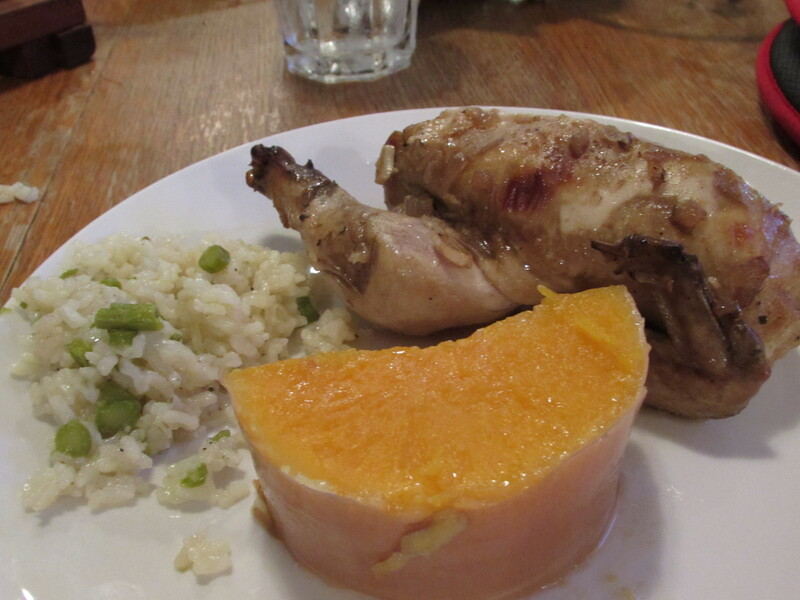 Alternatives: As promised, there are a couple of hacks to this dish. Firstly, instead of lemon juice, you can replace the pepper and lemon juice by coating the hens in lemon pepper and seasoning salt. 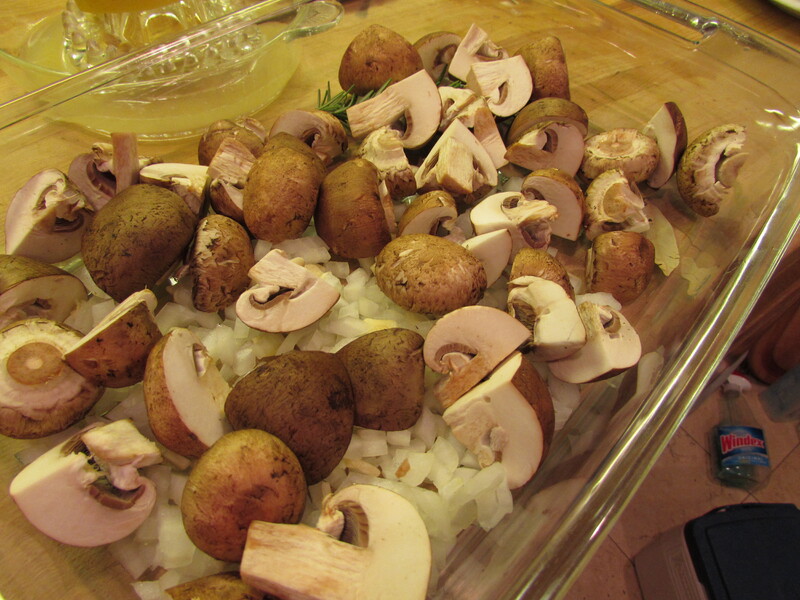 Also, instead of any herbs, onion or mushrooms in the dish, you can use Lipton Onion Mushroom Mix or, just Onion Soup Mix. I promise, these “hacks” still make an excellent game hen. 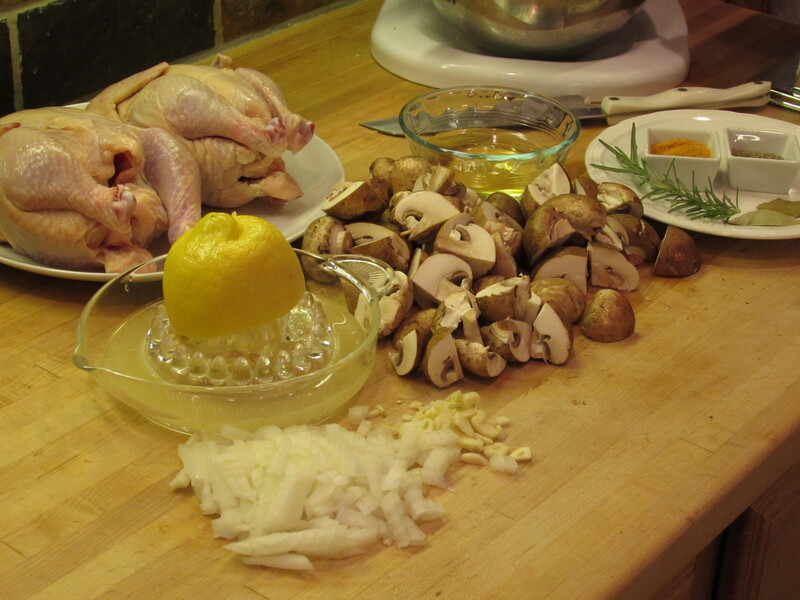 Tags: cornish game hen, food, game hen, lemon, mushrooms, oven roasted cornish game hen, recipe, with images. Bookmark the permalink.